In a small Division I field of 8 teams, the competition was stiff throughout, not much room for error. 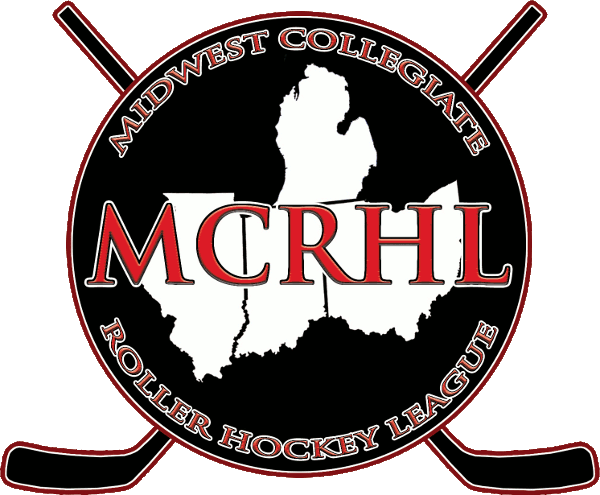 Round robin play had Farmingdale pitted against Arizona State, Lindenwood and Florida Gulf Coast. Farmingdale made short work of ASU and FGCU, but the game against Lindenwood in round robin was tight throughout. Never separated by more than 1 goal and with 3 of the 5 goals in the game scored on the power play, it was one for the ages. In the end, it was Max Halvorsen’s hat trick that put Farmingdale on the winning side of this game, with the 3-2 win. Farmingdale beat UCSB 7-2 in the first round of the brackets, then Arizona State 4-0 in the semifinals. Lindenwood got to the final by defeating Slippery Rock 6-0 in the first round and Bethel 4-1 in the semifinals. The Lindenwood win against Bethel was sweet, as Bethel had defeated Lindenwood just over 1 month ago for the GPCIHL Conference Championship. The Division I Championship Game had a great turnout. The Farmingdale fans were given something to cheer about just 1:15 into the game, with Luc Corso scoring. Farmingdale went on to add 3 more goals in the 1st, taking a 4-0 lead into the 1st intermission. The 2nd period was scoreless, until the final seconds when Farmingdale’s Max Halvorsen had a breakaway and was pulled down by Lindenwood’s Cody Page, resulting in a penalty shot. Halvorsen converted on the penalty shot, giving Farmingdale a 5-0 lead after 2. Also on the same play, Matthew O’Shaughnessy was given a roughing penalty, earning Lindenwood a power play to start the 3rd. 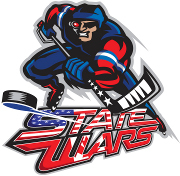 As the 3rd period got started, 13 seconds in to be exact, Joseph Rosa from Lindenwood scored on the power play. Another Farmingdale goal with 4:49 kept the lead at 4. But just when you thought it was over, Lindenwood added 2 goals from Cody Page, bringing the game to 6-3 and giving Lindenwood the momentum they needed to have a chance. 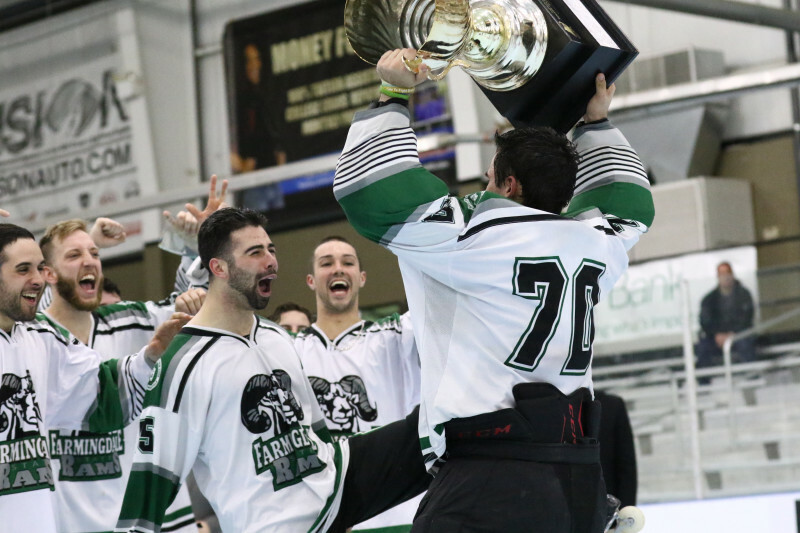 Farmingdale’s Joey DiMartino scored with 1:57 left in the game, earning his hat trick and sealing the win for the Rams.